Eduardo Stupía was born 1951 in Buenos Aires, Argentina, where he lives and works. A featured artist of the 2012 Sao Paulo Biennial, he has had solo exhibitions at numerous galleries and museums such as IVAM, Valencia; Caraffa Museum, Argentina; and Recoleta Cultural Centre, Buenos Aires. His work is held in several private and public collections such as MOMA, New York; Buenos Aires Museum of Modern Art; and Museo Nacional de Bellas Artes, Buenos Aires. 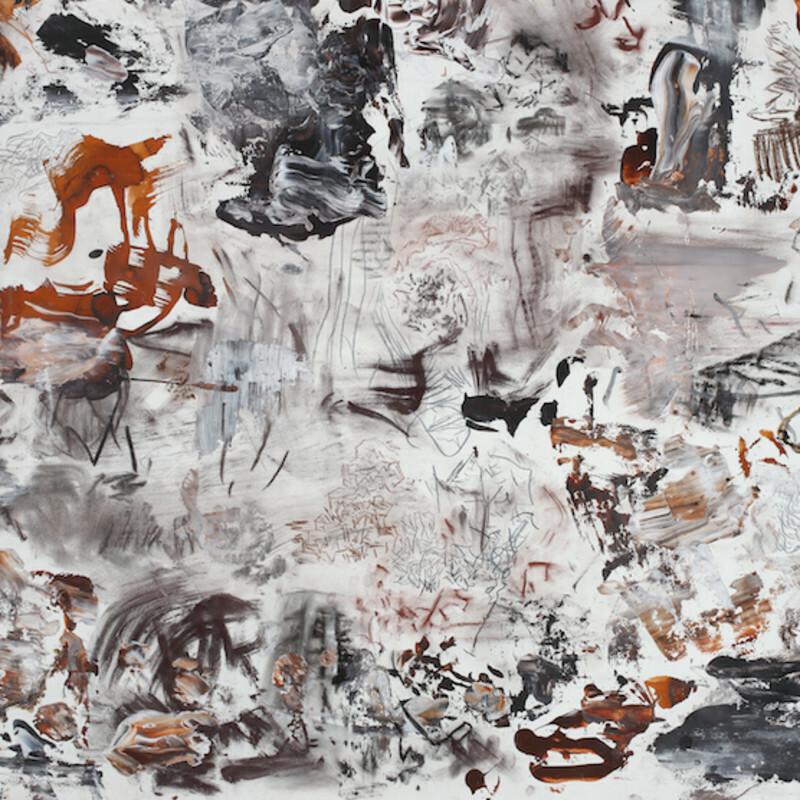 Stupía’s paintings have emerged out of a continual exploration of the possibilities of drawing. Working almost exclusively in black and white with occasional interventions of colour Stupía draws upon an extensive palette of marks and techniques within a single canvas. He uses materials such as pencil, charcoal, acrylic, graphite, watercolour and ink to push the boundaries of each medium as far as possible, yet succeeding in creating final works of the harmony and integrity. The originality and beauty of Stupía’s work is in his rare ability to allow the “spirit” of each medium to dictate its own space without unbalancing the unity within the whole. He believes that “examining the boundaries of a discipline is a healthy approach to painting.” Where his early work depicted characters, creatures and objects in an otherworldly landscape, his later work during the 1980’s featured surreal architectural forms, hidden cities and dreamlike landscapes.